NSDCAR November 2013 HomeDex Reports provide October 2013 housing statistics in two separate reports, featuring North San Diego County and full San Diego County statistics. 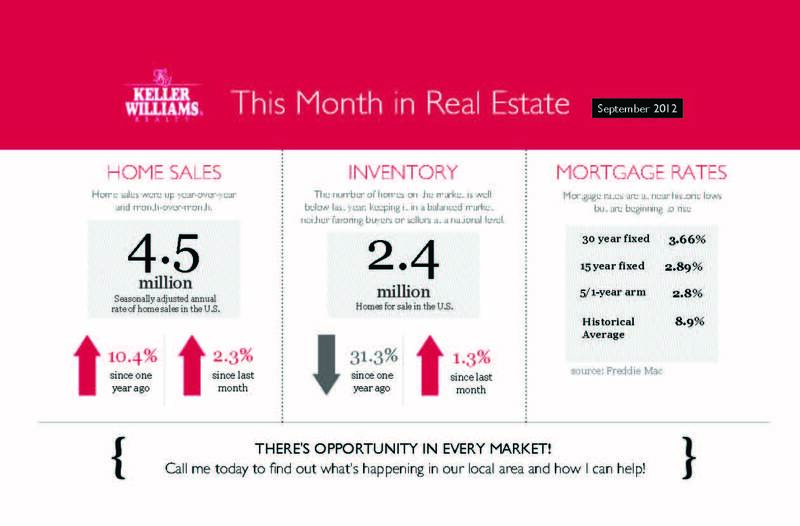 Below is a snapshot of the October housing report. Click on the links below to read the full reports. The median price for all North County home sales – attached and detached – decreased to $482,500 in October 2013 compared to $499,950 in September 2013. Detached homes in North County remained constant in October 2013 at $570,000. Year-over median SFD price in North San Diego County was up 19.37 percent, compared to $477,500 in October 2012 – a 15-month trend of year-over median price increases. The median SFD price in non-North County ZIP codes decreased 3.22 percent in October 2013 to $435,000 compared to $449,450 reported in September 2013. Year-over non-North County median price increased 18.46 percent compared to $367,200 in October 2012, continuing a 19-month trend of year-over median price increases. The number of North San Diego SFD listings (active and contingent) decreased 6.58 percent in October 2013 compared to September 2013. The number of sold North San Diego County SFD units rose 8.18 percent in October 2013 compared to September 2013. Year-over sold SFD units decreased 6.93 percent compared to October 2012. Median days-on-market for single-family detached homes sold in North County increased to 30 days in October 2013 compared to 25 days in September 2013. The HomeDex affordability percentage for all homes in North San Diego County was 31 percent in October 2013. Your San Diego home is in perfect shape – all set to go on the market. You’ve enlisted an experienced real estate agent with a solid track record. Now all that’s left is…what? In fact, the next step can be all-important: creating a San Diego listing that does more than just describe the number of beds and baths. It has to stand out among all the competing listings that will be seen alongside it. That Southern California listing is the keystone of the marketing campaign that will ultimately fetch a new owner: its job is to get buyers and agents to take a closer look. To get that job done, it has to be special! * Keep the context in mind. The job of any San Diego listing is to communicate many essential details in a limited amount of space – but there will be photographic information there, too. Highlight features that can’t be told through either its photos or specifications. For example, if a house offers a spectacular view of the sunset from its veranda, the listing should highlight it. Grandeur can be told nowhere else. A successful local agent has demonstrated the knowhow and experience to bring these and other elements together to produce powerful, effective home listings. If you are considering selling your own home in San Diego, I hope you will give me a call so we can create a dynamic marketing plan to sell your property! Read This BEFORE you write your next offer and WIN the House! When choosing a custom home builder, asking these questions to each builder you interview will provide an apples to apples comparison. Of course, there are many more questions that one could ask, feel free to add any you’d like. Following a framework for the builder selection process will provide confidence down the road when you are frustrated, and wondering, did I make the right choice? 1. Quality of life – a home provides stability and security for you and your loved ones, and membership within a community of neighbors. 2. Pride of home ownership – a home is a personal haven, a place that you can decorate, shape, and share over time because it’s yours. 3. Excellent affordability – lower home prices combined with low interest rates means there are tremendous opportunities for buyers. 4. Historically low interest rates – around 4 percent in the U.S. gives better purchasing power to those who qualify. 5. Appreciation potential – your home investment can grow in value. 6. Equity buildup and debt pay down – homeowners enjoy an average net worth of approximately $184,000 vs. $4,000 for renters. 7. Leverage – where else can you buy an investment of this magnitude with 5-10 percent down? 8. Tax deduction advantages – property tax and mortgage interest write-offs (in Canada, home owners gain a tax benefit upon selling). 9. Tax exemption – up to $500,000 per married couple or $250,000 per person on sale of a primary residence in the United States (no tax upon sale in Canada). Fewer Markdowns – Homes Selling ABOVE List Price! Now is the bargain real estate season: asking home prices typically hit their seasonal low point from November through January. This winter, however, markdowns are harder to find. Among all non-foreclosure homes for sale on Trulia, in early January, 33.6% of homes were priced lower than their original listing price. (For homes originally listed more than six months ago, we compared the current price to the price six months ago, not the original price.) One year ago, in early January 2012, 36.7% of homes for sale were marked down from their original listing price. However, the national average of 33.6% hides huge local differences. In January 2013, the share of homes with price reductions ranges from just 15% in Oakland to 48% in Springfield, MA. Among markets with the fewest reductions today, Miami and Fort Lauderdale stand out as the two locales that also had relatively few reductions one year ago, in January 2012. In contrast, Las Vegas and the seven California markets that round out the top-10 list all have far fewer reductions today than a year ago: in these metros, markdowns have become much harder to find. Among 100 largest metros. Based on all listings on the second Wednesday in January (January 9, 2013, and January 11, 2012). Changes might not equal the difference due to rounding. Springfield, MA, has the most price reductions in the country, followed by Hartford, CT, and Omaha, NE. Of the 10 metros with the highest share of price reductions, five are in New England. The rest are in the Midwest (Lake County–Kenosha County, Chicago) or nearby (Omaha, Buffalo, Kansas City). Most of the markets with lots of markdowns at the start of 2013 had even more price reductions at the start of 2012. In fact, among the 100 largest metros, 83 have fewer price reductions now than one year ago. What explains why some metros–like Oakland, Las Vegas, and Miami–have few markdowns, while others–like Springfield, MA, and Chicago–have many? Two factors stand out among markets with fewer reductions: bigger price gains and a lower vacancy rate. In metros where prices are rising, asking prices are less likely to start out too low: Oakland, Las Vegas, and Miami all had big price gains in 2012, according to the December Trulia Price Monitor. In metros with low vacancy rates, buyers are competing with each other for the few available homes on the market, so sellers don’t need to lower prices to attract buyers: Ventura County, CA, for instance, had only a 0.9% year-over-year increase in prices in December 2012, but has among the lowest vacancy rates in the country, which means sellers don’t need to drop prices to attract interest. Overall, a decline in price reductions is yet another sign that the housing market is tightening.